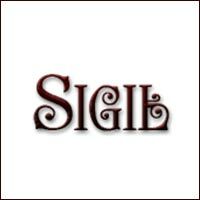 Sigil is an EPUB editor that works on multiple platforms. Even though it is free, the program has a lot of features that rival even those of commercially available software. It is easy to use and has support for EPUB 2 specs and UTF 16 as well. While most users will be content with the book view, it also supports preview and code views if you want to edit it. Most of the editing can be done on book view, and it is very effective since it is a WYSIWIG editor so everything you see is as it is. However, code view is just as useful as it gives you complete control over the editing process. The application can also generate a table of contents, saving you a lot of trouble, and there is support for multiple headings as well. Sigil also provides support for metadata editing and can handle all of these entries (more than two hundred supported) and each one can have a full description. Sigil also gives you the opportunity to set the interface in different languages, and there is a spell checker to boot. The dictionaries in this program can be configured and the Find and Replace feature has PORE support. Sigil can also import HTML and epub files, as well as style sheets and images. You can also use this application for document validation and very important for editors, every file you import will have their formatting intact. If you want to make changes, there is an editor you can use as well. And there’s an extensive help file on its website that you can turn to.